Luffarelli, M. and Y. Govaerts. 2019. " Joint Retrieval of Surface Reflectance and Aerosol Properties with Continuous Variation of the State Variables in the Solution Space – Part 2: Application to Geostationary and Polar-Orbiting Satellite Observations." 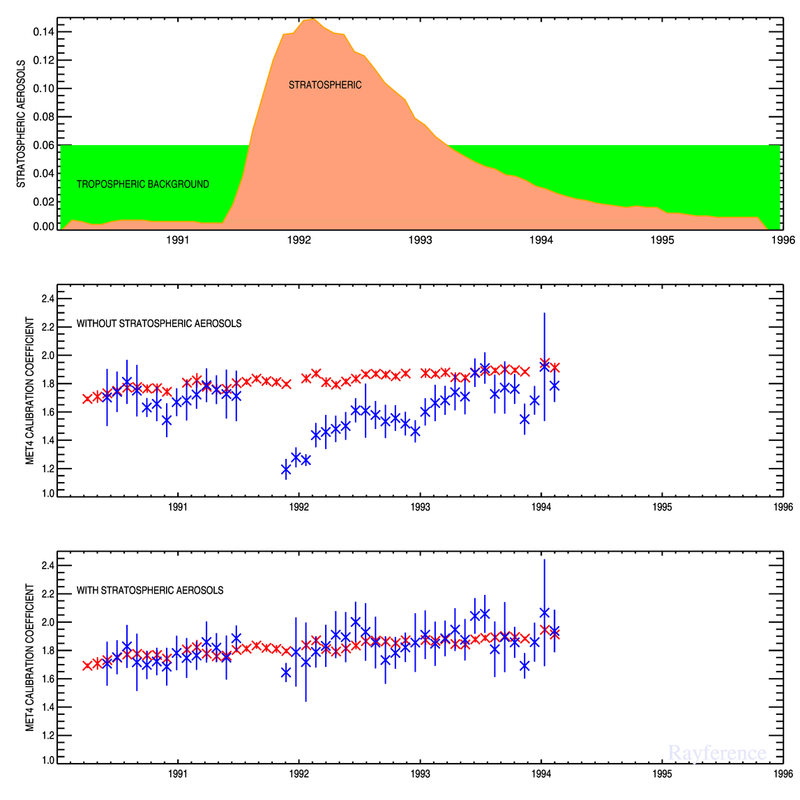 Atmospheric Measurement Techniques 12 (2): 791–809. The latest Eradiate newsletter is available here : " Eradiate Winter News ." Visit Rayference contribution to FIDUCEO blog on "Can we trust Earth as a calibration reference for climate monitoring activity?". 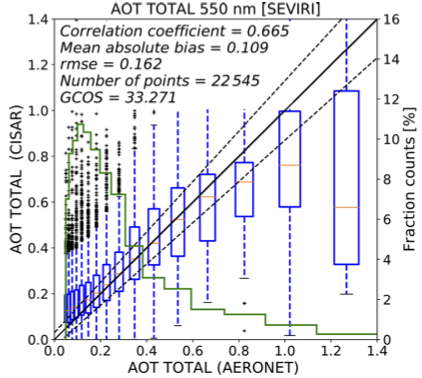 Rayference releases the Combined Inversion of Surface and AeRosol (CISAR) algorithm, an advanced mathematical method for the joint retrieval of surface reflectance and aerosol properties from observations acquired by space-based imagers. 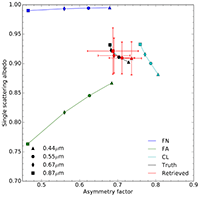 Govaerts, Y. and Luffarelli, M. " Joint retrieval of surface reflectance and aerosol properties with continuous variations of the state variables in the solution space: Part 1: theoretical concept." Atmos. Meas. Tech. Discuss. 1doi:10.5194/amt-2017-29, in review. Visit Rayference contribution to FIDUCEO blog on deriving an aerosol climate data record from Meteosat First Generation observations. Govaerts, Yves M. 2015. " 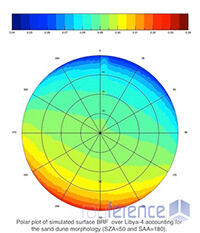 Sand Dune Ridge Alignment Effects on Surface BRF over the Libya-4 CEOS Calibration Site." Sensors 15, no. 2: 3453-3470.